One of the best thing in life is to travel with your friends. It is not how far or how long the ride is, as long as you are with your friends, no dull moments all the time. 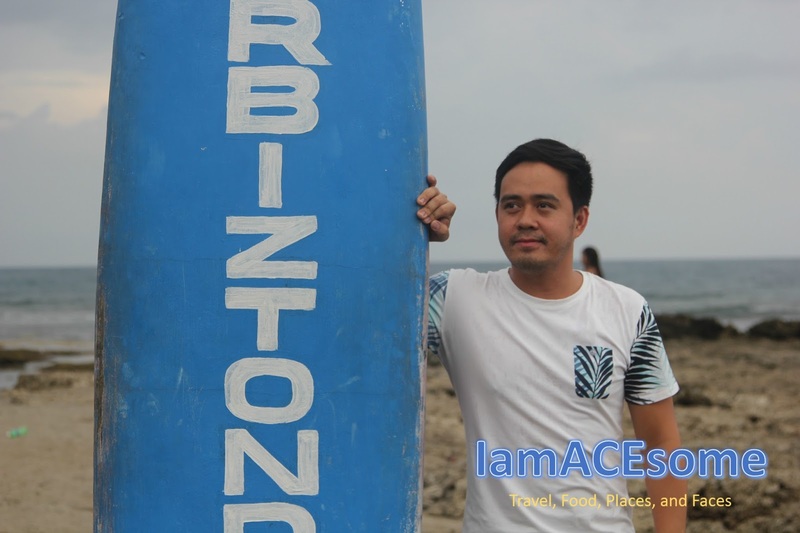 This trip was planned last April and it turned into reality last May 28, 2017. We brought our own car to explore La Union especially Bauang, San Juan, and San Gabriel. We were six in the group and we are all officemates who became travel buddies and friends. 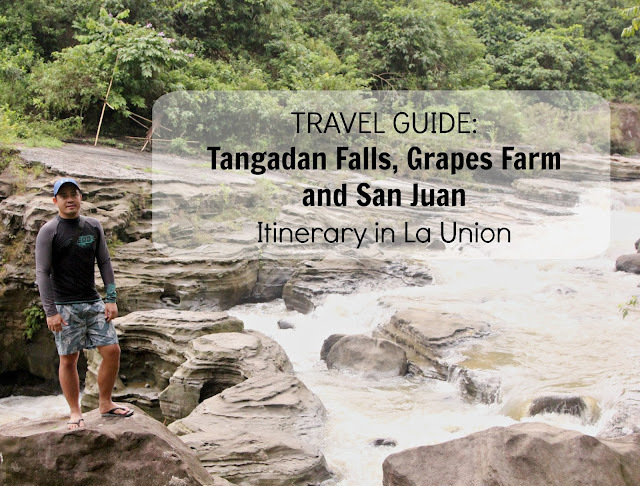 Hope this one-night-two-day trip itinerary will help you, your friends and your family when you decided to travel and explore La Union. 6:00 AM - Meet up at Eton Centris Quezon Avenue. 6:30 AM - Departure from Eton Centris going to La Union. 7:15 AM - Reached Shell Gas station in NLEX, gas up our car for only 1600 pesos - full tank, then ate at KFC for our breakfast. 7:45 AM - Departure from Shell Gas station NLEX and head up to La Union. 11:30 AM - Reached Gapuz Grapes Farm. Gapuz Grapes Farm one of the known grape farm in Bauang, La Union. Compared to the other grape farm, there is no entrance fee here. Free of taking pictures within Gapuz Grapes Farm. We are not forced by our tour guide to buy grapes or anything here, but because we have a conscience, we bought grape wine for 200 pesos only. 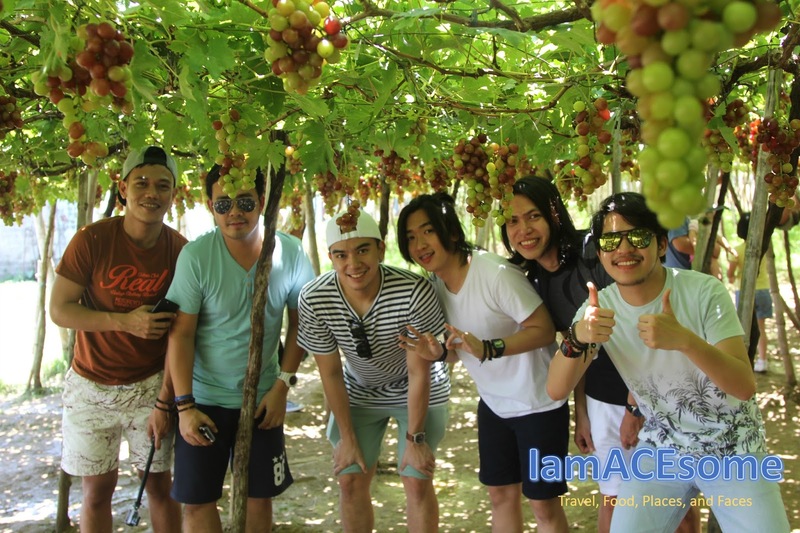 Take note that your tour guide will give you some fresh-picked grapes for tasting and they will also let you taste grape wine and guyabano wine so that you will have choices on what to buy before leaving Gapuz Grapes Farm. To reiterate, we were not forced to buy anything, but because we have conscience, we bought grape wine so as to help the community in our little own way. If you decided to buy grapes, you can either go for a grape-picking or buy the already picked grapes by the owner. 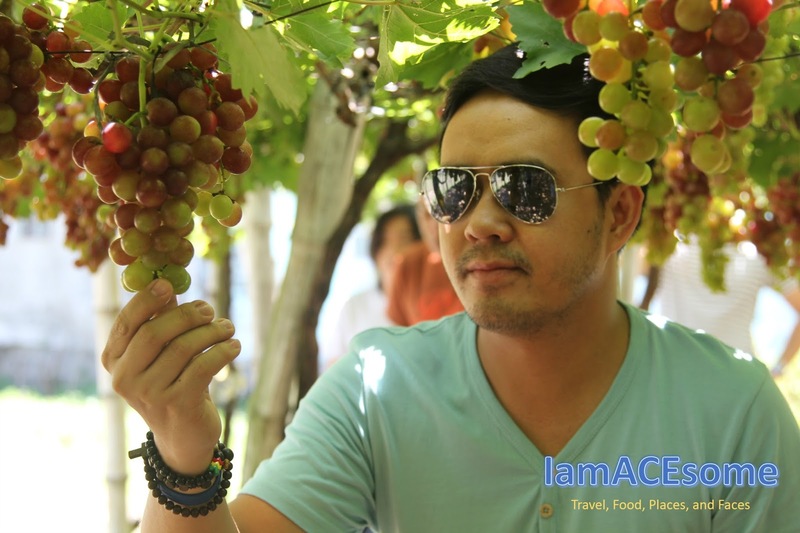 Note: Grape-picking is 350 pesos per kilo. 12:20 PM - We left Gapuz Grapes Farm and headed up to San Juan, La Union to check in at the resort (Puerto de San Juan Beach Resort). We avail their cabin room through agoda.com for 5600 pesos per night. The room can accommodate a maximum of 10 people with 2 rooms (one with a queen sized bed and the other has two double decks), Sala with tv set, terrace and parking area. Each room are fully air-conditioned with own comfort room and a cabinet. 1:00 PM - We decided to eat a restaurant in San Juan, which I think, is a 10-minute ride from our hotel. 2:30 PM - We went back to the resort and had some rest. 5:15 PM - We went back to San Juan to try surfing. Unfortunately, we arrived at the beach too late. The surfing lesson is until 6 PM only and they did not allowed us to avail it anymore. Instead of trying to surf, we decided to take some photos of the beach with the surfing board just to somehow get the feeling of being hyped by the waves. 5:45 PM - We decided to go back to the resort. We played volleyball then swim at the beach afterwards. We also tried their swimming pool. 7:20 PM - We went back to our room to take a bath. 8:30 PM - We went back to San Juan and ate at Chako for our dinner. We bought drinks at Moonleaf just across Chako. 10:00 PM - We went back to the resort to take a rest because we have an early trip to Tangadan Falls the next day. 4:30 AM - We woke up early and prepared our things going to Tangadan Falls. 6:00 AM - We met our tour guide, her name is Bea, she worked at the resort. 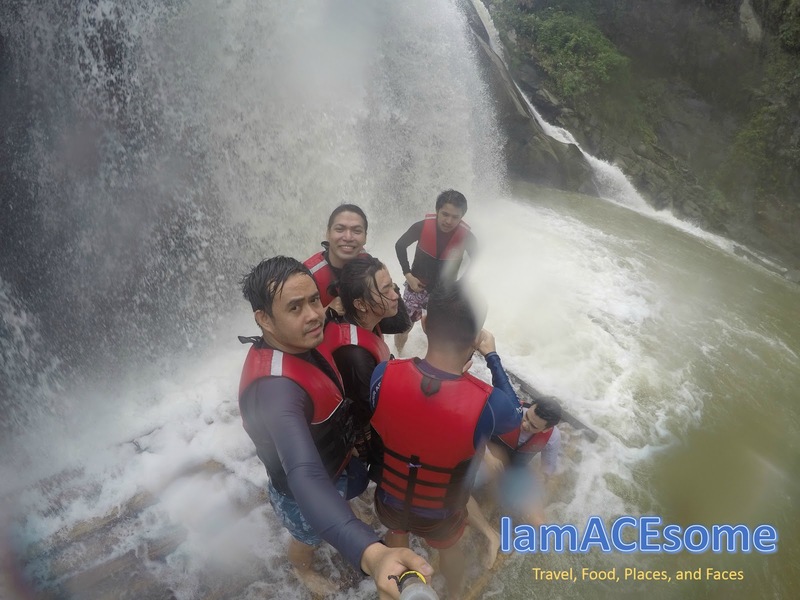 We availed her package going to Tangadan Falls (tour guide fee only and transportation is not included). Tour guide package is 400 pesos per head, a total of 2400 pesos for six persons, but we gave her 2500 pesos because we enjoyed her company. We were accompanied by Bea and her two brothers - better to have two or three tour guides for safely passing through each running waters. A 30-minute jeepney ride (35 pesos per head) from the resort going to San Gabriel where the start point going to Tangadan Falls is. 1 hour and 30 minutes - the total time of trekking going to Tangadan Falls. But because we are all photo enthusiast, we reached Tangadan falls after about 2 hours and 30 minutes. You have to rent a life vest going to the falls for 50 pesos each. And if you want to use the balsa to experience the water from the falls, you have to pay 200 pesos. Who could resist this kind of experience? We availed their balsa and it was super worth it. We have stayed for about 1 hour under the falls. 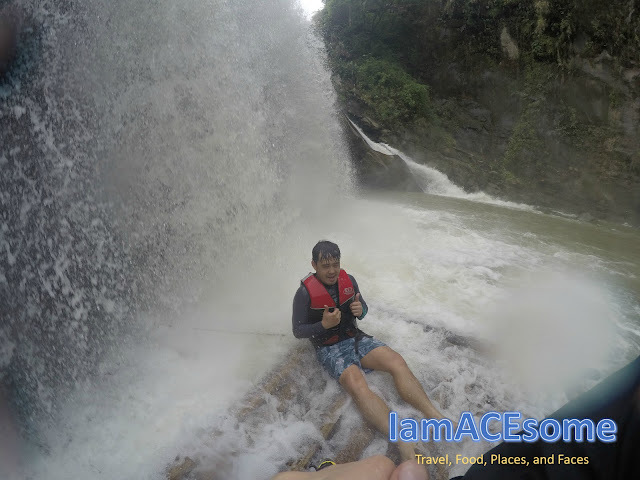 It was an amazing experience and we really enjoyed the cold water coming from the falls. Two thumbs up! 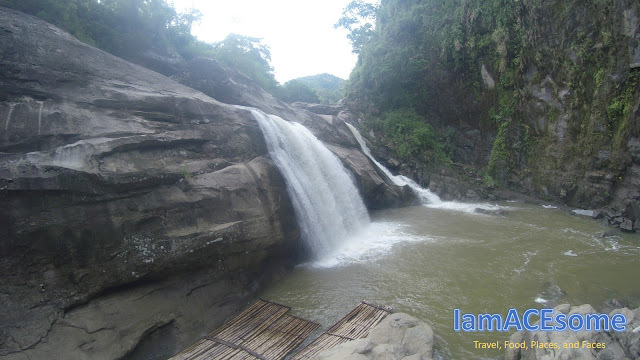 Before you leave at Tangadan falls, you have to pay for the environmental fee, 20 pesos per head. 10:00 AM - We have started trekking back to the starting point at San Gabriel. 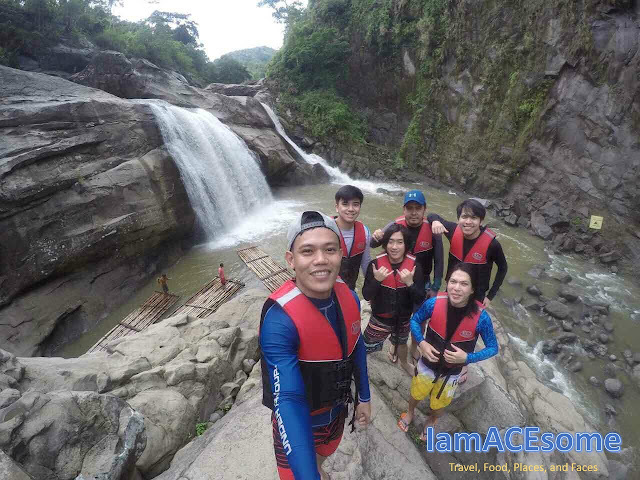 Before reaching San Gabriel, we decided to try the cliff diving. Diving is free but you have to pay your vest at 100 pesos and another 20 pesos for the manual cable car which will lead you to the cliff diving spot. 11:40 AM - We reached San Gabriel and waited for the tricycle which will drive us back to the resort. 12:10 AM - We reached the resort and we started packing up our things while some are taking a bath before heading back to Manila. 1:15 PM - Checked out at the hotel and ate at a restaurant for our lunch before leaving La Union. 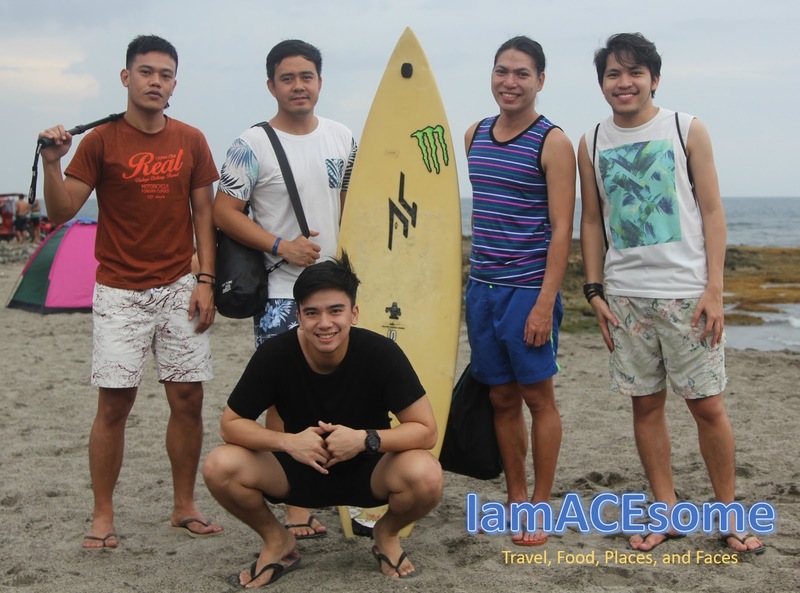 2 PM - We left La Union, going back to Manila.